What would you have done if you were Leo Gao? After battling away for years working hard as a small business owner, struggling to make ends meet…working 15 hours a day and going backwards financially, Chinese migrant Hui Leo Gao approached his bank for an overdraft facility of $100,000 to cover a seasonal downturn in his business cash flow. Instead, due to a Westpac Bank clerical error, his account was credited with 100 times the amount he requested. Imagine yourself in his shoes…suddenly all the stress, tension and worry is gone, your account is now $10,000,000 in the black and you’re on easy street. Pennies from heaven, but hang on, the money isn’t yours, surely there has been a mistake…I should alert the bank to their error and return the money…or would I perhaps missing a great opportunity…everything happens for a reason…should I take the money and run? Gao was in a quandary, his honest nature suggested he should fess up and take it on the chin, but he also couldn’t help thinking about the benefits of the unexpected windfall…the opportunity to change his life forever. Gao claims to have felt as if he was being set up, why was this happening to him? Who was behind the digital fortune now in his possession? Was it real? was the money really in his account? He decided to go to the bank, to verify his account balance and to at least give them the chance to spot the error…put the ball in Westpac’s court. He went into his branch, the one he’d been banking at for years and approached a teller, with whom he’d likely dealt with before. He joked with her that his financial situation had significantly improved since his last visit to the bank…the teller must have seen the bank balance, but did not register or question that there was suddenly an unusually large amount of money in Gao’s account. Gao’s situation was exacerbated by his father’s gambling addiction, which depleted his families’ coffers…a problem that Gao claims afflicts many New Zealand migrants who find themselves in a culture that is alien and exclusive to them. Gao decided not to look his gift horse in the mouth and began to transfer money into offshore bank accounts. He shifted $6.7 million out of his account and then flew to Hong Kong to join his jackpot. On arrival, he found that his life was not exactly as he imagined it might be. The New Zealand Government, N.Z. Police, Interpol and presumably the SIS were hunting him…life as a multi-millionaire on the lam was even more tense, stressful and traumatic than pumping gas in Rotorua. An excellent question would be…just how much money did the New Zealand Government spend on trying to recover money inadvertently lost by an Aussie bank? Ask yourself, how much responsibility did Westpac take for a) Making a banking error and b) Not spotting the error when given the opportunity to do so. Gao stated in a recent TVNZ interview that he and his fellow migrants had few Kiwi friends and found it difficult to assimilate into New Zealand life…addressing this problem would surely have been a better way to spend N.Z. Govt money rather than funding an international chase to recover money laxly lost by a foreign corporation that last year made a profit of $AU6 billion. Given the amount of money banks and bankers fleece from us on a daily basis, I think Gao did what any reasonable man would have done; take the money and run. Gao must have had a pretty good time and fair play to him…most of the money has been accounted for, but about $3 million has mysteriously vanished…he’s now back in New Zealand, manning up, facing the music and doing his time…the missing millions? 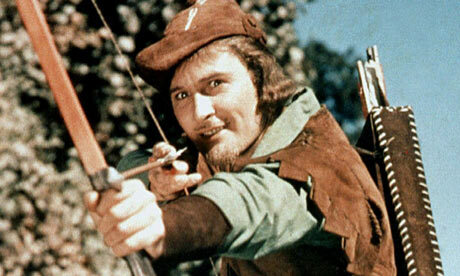 Hopefully, safely stashed away for his release…Mr Gao, you are my Robin Hood. The man known as the runaway millionaire says he spent the $3.8 million outstanding from the $10m accidentally transferred into his bank account. Hui Leo Gao and former girlfriend Kara Hurring were sentenced on Friday in the Rotorua District Court after the couple fled to China in April 2009 when a $10m overdraft was mistakenly loaded into Gao’s bank account. Gao has been sentenced to four years and seven months in prison while Hurring received nine months home detention. The majority of the money was recovered after Gao’s bank accounts were frozen, but police say close to $4m is still missing. Gao told TV ONE’s Sunday he spent the remaining $3.8m while he was on the run, on “everybody, everything”. Gao said he did not buy anything luxurious with the money. However, Detective Inspector Mark Loper said he thought Gao was trying to divert police. “The obvious answer is that he’s got the money and he knows where it is. Loper said police still hoped to track the money down. 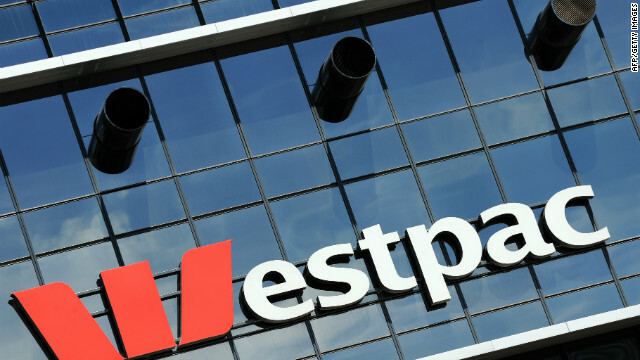 Westpac is continuing to dedicate considerable resource to recover the stolen money. Gao told Sunday he was not a criminal and taking the money was the “biggest mistake” of his life. The 31-year-old moved to New Zealand from China ten years ago. He bought a petrol station in Rotorua as a way to turn his fortune around. In 2009, Gao asked Westpac for a $100,000 overdraft to pay bills, when the $10m was accidentally loaded into his account. A few days after the banking error, the pair travelled to Auckland, where Gao used remittance companies to transfer the funds, up to $500,000 at a time, to Hong Kong banks. A week later he left for Hong Kong to meet his parents at Macau and reunited with Hurring. Hurring was arrested when she returned to Auckland in February 2011 to renew her daughter’s passport. The 33-year-old was found guilty by a Rotorua jury in May of 30 charges of theft, attempting to dishonestly use a bankcard, and money-laundering totalling $256,000. Gao, 31, was extradited from Hong Kong in December 2011 after he was arrested by border police as he tried to cross from mainland China. He later pleaded guilty in June to seven charges of theft totalling $6.7m that he had transferred to offshore accounts in Macau and Hong Kong. Gao said he was now trying to put the saga behind him and build a new life. “I have to accept it, there’s nothing I can do. This entry was posted in Banking, Business, Economics, Funny, Hilarious, Historical, Humor, Humour, Money, New Zealand, Politics, Uncategorized and tagged Accidental Millionaire, Bank, Banking, Crime, Kiwi Hero, Leo Gao, Money, New Zealand, Westpac, Westpac Bank. Bookmark the permalink.